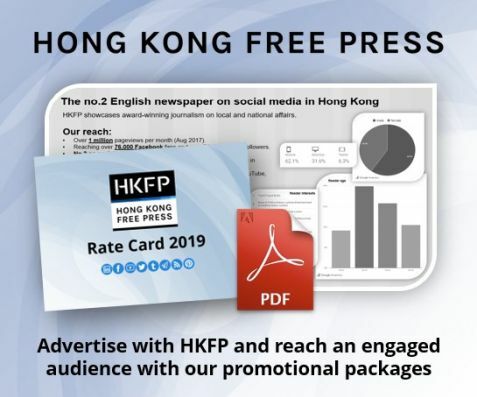 The US Consulate General in Hong Kong has said the government’s decision not to renew a work visa for the Financial Times’ Asia News Editor is “deeply troubling,” as activists staged a protest on Saturday. 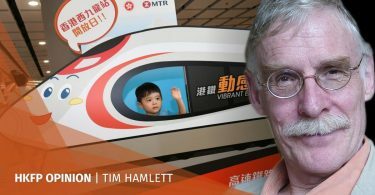 Victor Mallet, a British journalist who has over three decades of experience, is also the vice-president of the Foreign Correspondents’ Club of Hong Kong. 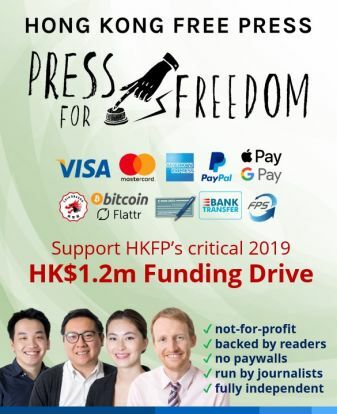 He chaired a talk by pro-independence activist Andy Chan at the FCC in August, which the office of China’s Ministry of Foreign Affairs in Hong Kong tried to block. 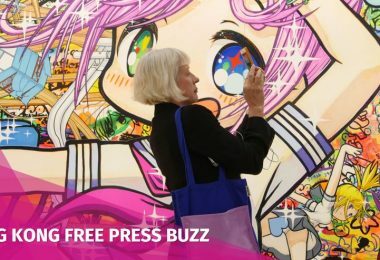 The Financial Times said they were not given a reason for the rejection. 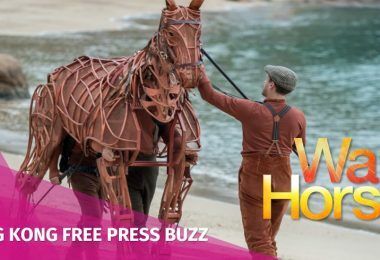 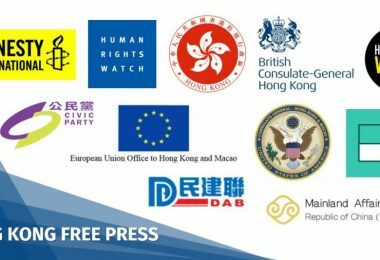 The UK’s Foreign & Commonwealth Office said it was concerned by the move: “We have asked the Hong Kong Government for an urgent explanation. 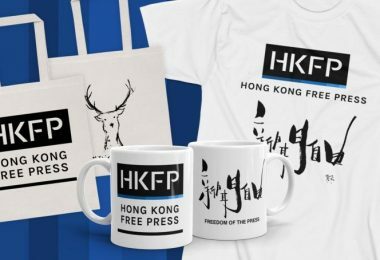 Hong Kong’s high degree of autonomy and its press freedoms are central to its way of life, and must be fully respected,” a spokesperson said. 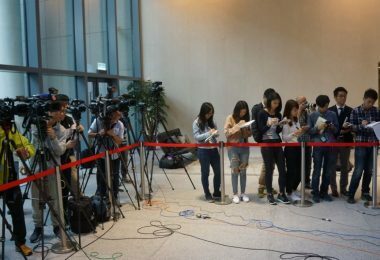 According to lawmaker Claudia Mo, Mallet was scheduled to leave Hong Kong for a new posting in Paris by the end of November, but he had to apply to renew his work visa in Hong Kong as his current one was set to expire. 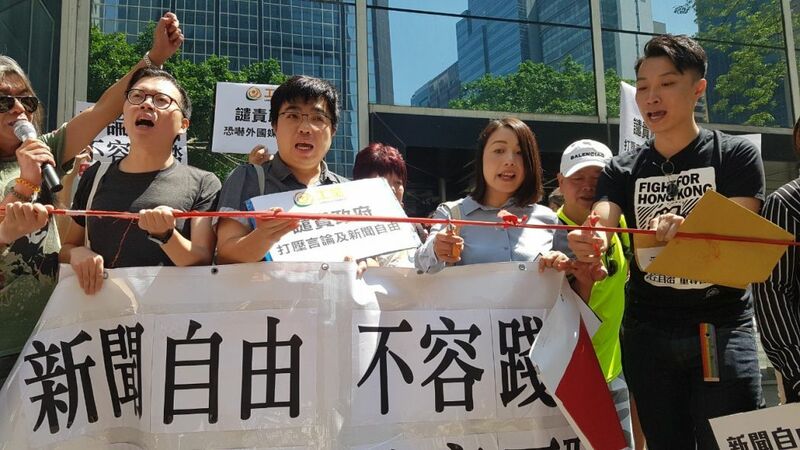 The Civil Human Rights Front led a protest at the Immigration Tower in Wan Chai on Saturday, attended by several dozen including ex-lawmakers Lau Siu-lai and “Long Hair” Leung Kwok-hung. 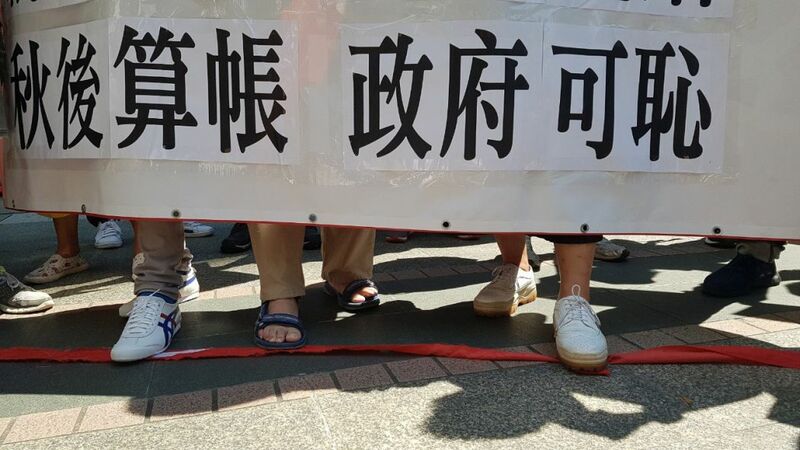 “We support free press, we support you Mr Mallet, shame on Carrie Lam, shame on [the] political red line,” said Leung of the League of Social Democrats. 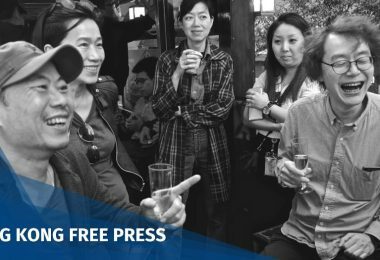 “Long live free press, long live freedom of expression,” he added, as activists shredded a length of red fabric representing Beijing’s political bottom line. 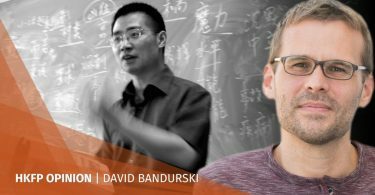 The local and central authorities have insisted that the notion of independence is not up for discussion. 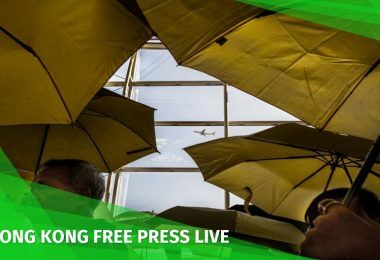 Last month, Hong Kong banned the Hong Kong National Party citing national security concerns. 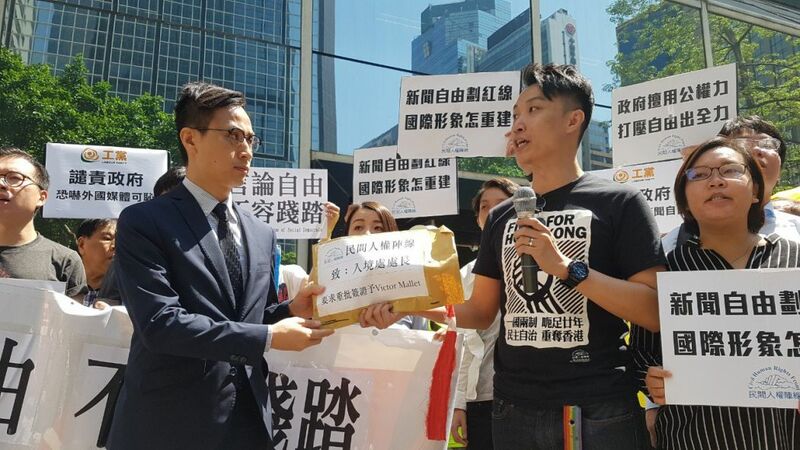 The protesters put the shredded fabric into an envelope with a protest letter handed to a representative of the Immigration Department. 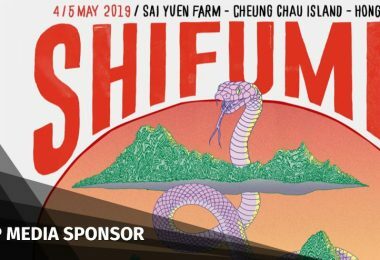 Representatives from the Hong Kong UPR Coalition – consisting of 45 NGOs – will travel to Geneva next week to speak at upcoming United Nations Universal Periodic Review pre-session, and discuss the incident with representatives from other member states. 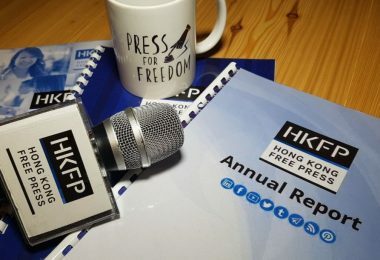 “The Beijing authorities need to respond now more than ever to its decision to suppress press freedom in Hong Kong, as its state of human rights is being evaluated on by other Member States in the upcoming session, as is its duty as a member of the United Nations,” a statement from pro-democracy group Demosisto, a member of the Coalition, said. 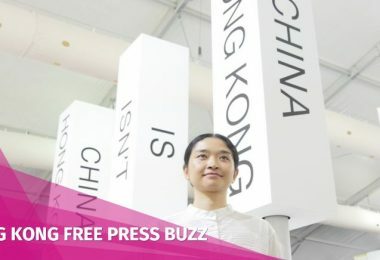 🔴 HKFP_Live: A protest is being held at Immigration Tower following a government bid to expel Financial Times’ Asia News Editor Victor Mallet from the city. 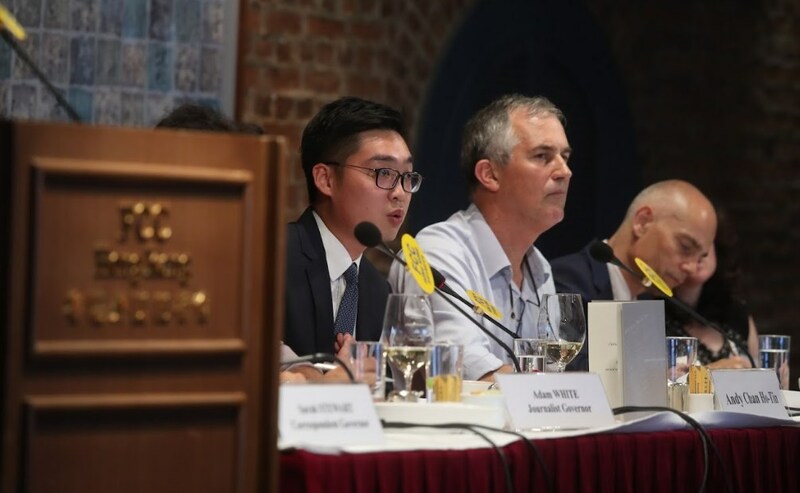 Mallet's visa renewal was refused weeks after he chaired a press club talk with a pro-independence figure. 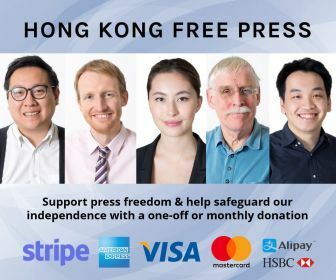 “We’re troubled that the government in Hong Kong may be preparing to expel a respected colleague at The Financial Times whose application for a routine visa renewal has been rejected without explanation, and we are seeking clarification from the authorities,” said the spokeswoman, Eileen Murphy.